We deliver a client-focused, one firm approach. Julie received her Master and Bachelor degrees in Piano Performance at The Juilliard School in New York. 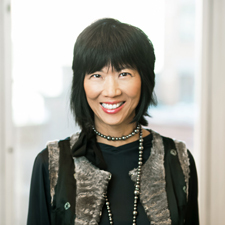 Julie Choi went on to found and build one of the most successful leadership and talent advisory firms in the US. Over her career, she has provided expert counsel to blue chip clients and industry-leaders: CEOs, Founders, Business Leaders, Directors and Strategic Advisors. Under Julie’s stewardship, CBK Partners has maintained an unparalleled track record and reputation. Julie is an award-winning CEO, nominated along with thousands of business and professional services executives, and recognized with a Gold for Executive of the Year (Business & Professional Services, Less Than 100 Employees) and Silver for Woman of the Year (Business Services Industries). Julie has built strategic partnerships and mindshare with clients, such that many directly cite their work with the firm as a driver of their precipitous growth and impact on shareholders. Julie is a champion of the people agenda driving the business agenda. Julie is known for fiercely yet justly representing the ethos and mission of clients, not the transaction of a hire, which requires rigor to find excellent fits with uncompromising standards. It also results in unprecedented retention rates. Julie is not afraid to disrupt the search industry’s approach to diversifying boards. She serves as US Chairman of Nurole, the board and executive-level digital hiring platform that is addressing the disconnect between demand for diversity and the hidden supply of board-ready women. Nurole enables its elite (invite and recommendation only), pre-vetted membership network of thousands of Fortune 500, NASDAQ, FTSE, and PE/VC-backed Chairmen, CEO and board members, strategic advisors, and digital leaders to find and directly apply to blue chip board and C-Suite roles, digitally. Julie serves on Juilliard’s Board of Trustees and is a member of the Executive Committee and Chair of the Trusteeship and Nominating Committee. She has also served on the Board of Directors of the Girl Scout Council of Greater New York and as a financial sponsor to students under the Student Sponsor Partnership for more than a decade. Under her leadership, Julie has steered CBK Partners’ support of numerous philanthropic organizations in the arts, through pro-bono work, investment, and access. Sumi Kang is President and Co-Founder of CBK Partners. She is head of the New York office and brings over twenty years of executive search experience. Sumi has been instrumental in establishing CBK Partners as an industry-leading search firm in financial services. Sumi is at the forefront of building client mindshare, which drives the firm’s multi-year partnerships with top financial institutions. She is a trusted advisor to many of the firm’s key clients on important strategic assignments addressing leadership, next generation talent, diversity, business builds, sector expansion, and new business entries. 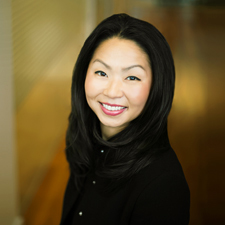 Sumi’s extensive relationships with industry dealmakers, C-Suite advisors and institutional stakeholders have been built over the course of her career. Sumi has deep industry expertise which has led to numerous successful senior level hires across sectors and regions. She advises clients on the recruitment of highly sought-after talent at the group head, sector head, and senior levels. Her search experience is broad and spans the areas of technology across software, internet & digital media, semiconductors, enterprise hardware, communications equipment and networking; media and telecom; consumer and retail; healthcare; business services; energy across midstream, upstream, downstream, and oilfield services; power; financial institutions; industrials; natural resources; M&A; restructuring; activist defense and shareholder advisory. Sumi also leads CBK Partners’ work in private equity and venture capital, which includes successful team builds across levels. Sumi began her search career with a specialist search firm focused on key areas of the emerging markets. She conducted searches at all levels in the areas of Equity Research, Strategy, Sales and Trading, and Economics. Sumi is a graduate of Tufts University, where she earned her BA in Economics. Beth Burns, San Francisco-based Managing Director and Co-Founder, leads the firm’s West Coast recruiting efforts. With over twenty years of financial services search experience, she has advised major investment banks on their expansion of new businesses and recruitment of key strategic hires. Beth has led searches across all industries, and has particular expertise in technology, healthcare, energy, and power. She has completed numerous senior-level assignments of C-suite advisors for global investment banks, independent strategic advisory firms, and middle-market investment banks. Additionally, Beth has extensive equity research search experience and has advised clients on recruiting research analysts in the following industry sectors: software, internet, semiconductors and semiconductor capital equipment, media, biotechnology and electrical equipment/multi-industry. Many analysts Beth recruited have consistently achieved top rankings in Institutional Investor’s annual polls. She co-authored, with Seth Godin, the book If You’re Clueless about Getting a Great Job and Want to Know More (Dearborn Financial Publishing, 1998). Previous to her search career, Beth was a sales executive with R.R. Donnelley & Sons Company. Beth received her MA in Psychology from New York University and her BS in Organizational Behavior from the University of Illinois. 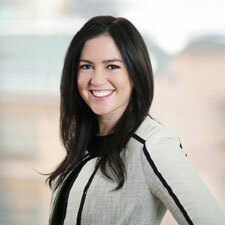 Caitlin Wallace joined CBK Partners in 2009. Her search experience spans investment banking, corporate development and strategy, private equity, private lending, sovereign wealth, activist shareholder engagement, and corporate governance. She has completed searches in these areas related to a range of sectors including energy, consumer/retail, financial institutions, healthcare, real estate, technology, media, and telecom, and restructuring. 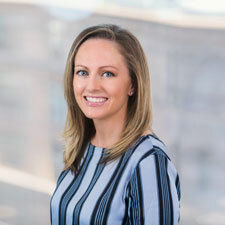 In addition to supporting client and search engagements, Caitlin co-leads the firm’s mid-level recruiting efforts. She also manages the firm’s competitive research products through analysis of industry trends and compensation studies. Caitlin began her career in operations at a data and information management software company. She received her BA from Rutgers University with a degree in Communication and Economics. 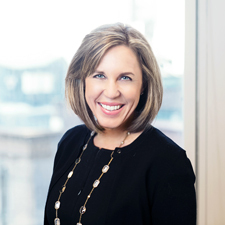 Lise Hamilton’s search experience includes strategic assignments across investment banking, private equity, and corporate development and strategy. She has completed junior and senior level hires in sectors including healthcare, technology, media, and telecom, consumer/retail, natural resources, industrials, power, real estate, and financial institutions. In addition to serving the firm’s core client initiatives, Lise co-leads the mid-level search practice. She brings extensive experience in investment banking which has contributed to successful hires in other areas including private equity and industry. She is responsible for tracking top millennial talent broadly. Lise previously worked with a boutique executive search firm where she focused on developing and managing client relationships within financial services. She began her career at a leading global marketing services holding company and is a graduate of Middlebury College with a degree in English & American Literature and Spanish. 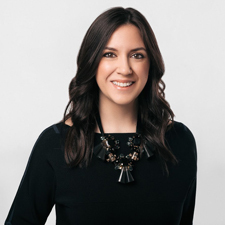 Megan Kantharia provides administrative and project management support to both the CEO and the Head of the New York Office. Megan is instrumental in ensuring our operational efficiency for the firm and results for our clients. Prior to joining CBK Partners, Megan worked as an Executive Assistant to a Managing Partner specializing in derivatives law. She began her career supporting the Founding Partners of a personal injury and medical malpractice law firm. Megan is a graduate of The College of Staten Island with a degree in International Studies and Political Science. She also holds a Paralegal certificate from Queens College. 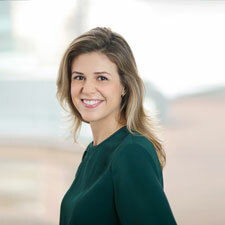 Stephanie provides CBK Partners’ recruiters with research and project management support. With her broad industry knowledge, she strategically identifies talent across a range of functions and sectors. She actively develops and assesses market research to support client initiatives. Prior to CBK Partners, Stephanie supported the business development of a health & wellness company. She has prior experience working in the legal and technology industries. She received her BBA from St. Edward’s University with a degree in International Business.